When you move into a home you see clean carpets, clean counters, appliances, windows and so on. While looking over all these clean surfaces you never imagine them become so dirty but they do! Over time every thing that was once clean becomes dirty and is in need of a deep cleaning. It is easy to clean most of the things in your home but the hardest to clean would be the carpets. You want clean carpets again so what should one do? Rent a portable from your local grocer? Buy a “steam cleaner”? Or hire someone to do the dirty work for you? Not to shame a portable or a easily purchasable steam cleaner as they will get the job done for the most part. They, however, will not get your carpets to the standard of clean that you are wanting or looking for. They are good for small stains or spots but not if your wanting clean carpets in every room of your home. If you are looking for a deep refreshing carpet cleaning than hiring a professional is defiantly the route to go. 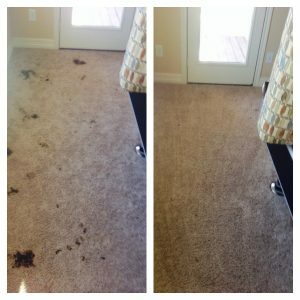 There are many carpet cleaners to choose from in San Antonio but one stands out amongst the pack and that is Beyer Carpet Cleaning. With their professional top grade carpet cleaning equipment they will have you looking at clean carpets once again. It is important to never let your carpets get to the point of no return because after all it is a fabric. Like with all fabrics there is a point where if they are too messed up it can be unsalvageable which is why most professionals will recommend cleaning carpets at least twice a year. 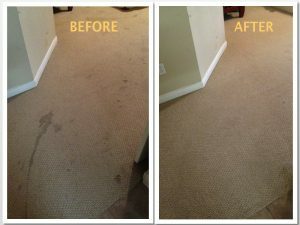 With professionals like Beyer Carpet Cleaning you will be able to keep clean carpets for years to come. Clean carpets not only looks good but also provides healthy living. Professional carpet cleaning will get deep down into the carpet and will remove any dirt, grim, bacteria, germs and allergens. Every cleaning will include a deodorant which will help make the carpets smell as good as they look! Beyer Carpet Cleaning believes in not only providing the best clean carpets to each of their customers they also believe in providing top quality service. They are professionals in commercial cleaning, tile & grout cleaning and upholstery cleaning. They will leave you amazed in the type of professional cleaning they can and will provide. Clean carpets is only the tip of the ice burg when it comes to using Beyer Carpet Cleaning. 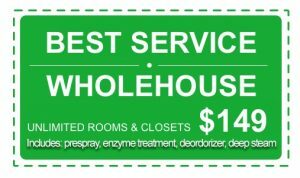 They have top notch customer service and the best prices in town. You can’t beat what you find at Beyer Carpet Cleaning. They will become your go to professional every time you need clean carpets time after time. Call today to schedule your appointment. They are conveniently open Monday thru Saturday for services and try their best to work with your schedule.